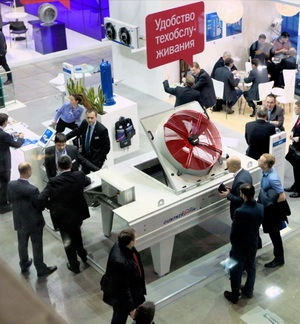 There are less than three months before opens the exhibition „Climate World — 2016“, the main event of the Russian HVAC market. Many companies have already decided on the format of their participation. For those who have not yet made a final decision, we would like to remind about the advantages the exhibition gives to the participants, and why it is especially important for the HVAC companies to be represented at the exhibition exactly now. 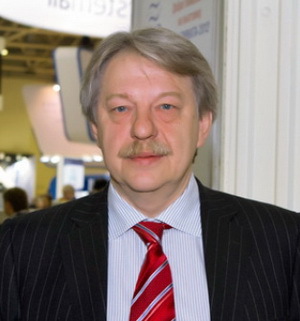 In order to do it, we talked with Mikhail Strigun, Organization Director of the exhibition company EUROEXPO. Exhibition „Climate World“ does not lose its ground even in the times of crisis. Even more, in 2016 it will have a number of features that significantly enhance its status. Mr. Strigun, tell us more about these features, please. Our exhibition enhances its status in the sphere of international cooperation and as a ground to unite professionals of the HVAC industry as well. Speaking about international cooperation, I would like to note that for the first time at the exhibition will be presented our partner country Turkey. At the Russian market will be introduced not only Turkish sellers of HVAC equipment, but also Turkish manufacturers. They have a lot to demonstrate; Turkey manufactures in big volumes practically all types of equipment for air conditioning, ventilation, heating, cooling and air treatment. It is also important to note that representatives of Turkey have already tried to enter the Russian market by organizing their own exhibition SODEX in Moscow. However, time has shown that a more effective way to present your equipment to Russian consumers is to participate in our event, which has proved its advantage for the years of existence. I would like to stress that the decision to participate at the exhibition „Climate World“ was taken in Turkey at the state level. Furthermore, virtually for the first time at „Climate World“ will be presented German united exposition, a joint stand of the representatives of Germany. Although the scale of this presentation is not clear by now, we expect that it will bring together about twenty companies. What are the achievements in uniting the professional community? In this matter, it is important to note the change in the status of participation at the exhibition of the association EUROVENT, the leading European organization which unites national associations of manufacturers of HVAC&R equipment. Participation of the EUROVENT representatives and holding the training seminars has already become a tradition. In 2016, EUROVENT will become an official partner of the project „Climate World“, there will also be a stand of the EUROVENT representative at the exhibition. Traditionally, we pay great attention to the segment of industrial and commercial cold. This year we begin a close cooperation with the Russian Union of Refrigeration Industry Enterprises (ROSSOYUZHOLODPROM), the corresponding agreement was signed. Here, I would like to emphasize the role of the association APIC who makes considerable efforts to bring together the representatives of various segments of the Russian HVAC market. Special refrigeration exposition should also contribute to the consolidation of a civilized but still fragmented refrigeration industry of our country. Cooperation with ROSSOYUZHOLODPROM expands the business program of the exhibition „Climate World“. In addition to the traditional Congress „Energy Efficiency. XXI Century“, the business program will also include the Forum of Russian Refrigeration Industry and International scientific-practical conference „Development of the industry of cold at the present stage“. 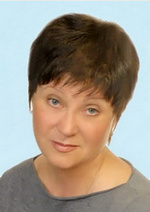 Vera Schukina, Director of the exhibition "Climate World": "We take care about the convenience of the exhibitors"
— We offer participants of the exhibition "Climate World" a full range of services: we provide exhibition space, design and build booths, organize information support, conduct active advertising campaign. Our companies EUROEXPOSTAND and EUROEXPOEVENT always are ready to help in the construction of exclusive stand and organization of additional services such as buffet and coffee breaks, providing translation service and promotional staff and stand-attendants. 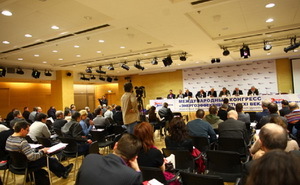 In 2016 the exhibition will be held in "Expocentre". Most participants of the previous exhibition favored the return to this area. "Expocentre" is located almost in the center of the city. It offers more flexible conditions for installation of stands and lower cost for additional services. I would like to remind that the data of the exhibition has been changed. "Climate World - 2016" will be held March 1-4, 2016. What can coerce the company to participate in the exhibition today, when less than three months left? Also, he should follow the internal policy of the company. For some company it is important to be the only player in the segment. Other companies on the contrary, consider the participation reasonable only when other players of the segment are already represented. In any case, the unconditional reason for participation is any change in the company, such as expanding the range of services and equipment to sell, emergence of new products, updating the status of the company, etc. The company shall assert itself. If you do not do it, your place will be taken by others. Let me explain with the simple example. Let’s say you come to the store for a washing machine, you have already made your mind about specific model. In a store you are told that there is no such a model, but there is a similar one by another brand, with the same size, the same performance and at a similar price. Agree, you would likely buy it. The same happens in business. If the customer does not see your stand, no doubt, he will find a stand of your competitors nearby. In time of crisis, the exhibition „Climate World“ looks more confident other HVAC exhibitions. Why? Indeed, as a result of the crisis the scale of many exhibition projects declined significantly, some of them closed. As to the exhibition „Climate World — 2016“, we do not expect a significant decline in comparison with 2015. Today „Climate World“ is the only event completely dedicated to the climate industry. 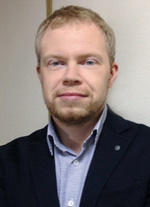 Alexander Orekhov, Head of Advertising and Marketing, EUROEXPO: "Any activity at your booth attracts additional attention"
— To achieve the maximum effect from participation at the exhibition, the company should decide what is most important for it: new contracts, promising new customers, maintain the existing relations. And should act depending on the chosen accent. I would like to note that participation in the exhibition should not be passive, particular attention should be paid to preparation work. We strongly recommend participants to prepare their prospective visitors to the exhibition, to plan beforehand the schedule of meetings, to announce their participation. To do it, we offer the participants a wide range of paid and free marketing promotion tools. To attract visitors, we use contextual advertising on the Internet, banner ads on the corresponding sites, image publications in the leading industry publications. Sending newsletters by e-mail gives very good results. Also effective is distribution of invitations via trade magazines and postal services. There is a regional program for the APIC members, which offers attractive billboards and invitations. We also use advertising in social networks. With it turns much faster to deliver information about the exhibition to the target audience. Practice proves that any stand attracts more attention and is better remembered, if the participant organizes some additional events, seminars, tests, trainings. Effective is also organization of contests and lotteries. In other words, any activity at your booth attracts attention. Note the correct timing of the exhibition. In a time of crisis it is especially important to show itself at the beginning of the season. A very important factor is a significant number of employees of the regional companies among visitors. People from the regions go to „Climate World“ to get known of all the events and achievements of the industry over the past year and to find out the basic trends of development of the market in future. 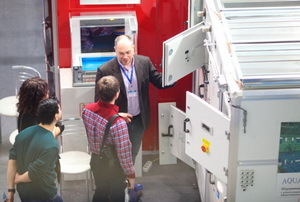 Our customers present at the exhibition „live“ equipment, not pictures. And it’s not just the fans and split systems. At our exhibition you can see the large-size industrial equipment, the latest models of chillers, forced draft and extraction systems, advanced heat exchanger. Participants demonstrate to their partners the benefits of new lines of equipment, innovations and technical features of their equipment. I would also like to note the well coordinated work of professionals of EUROEXPO and APIC. In fact, we are talking about the exposition ground, where are united and complement each other the efforts of professionals in the exhibition and HVAC business, a unique combination which proved its worth with time. Technical Editor of the magazine "World of Climate"